To add funds to your account you have to click on the Account page at the top and from there click on Billing - Overview. 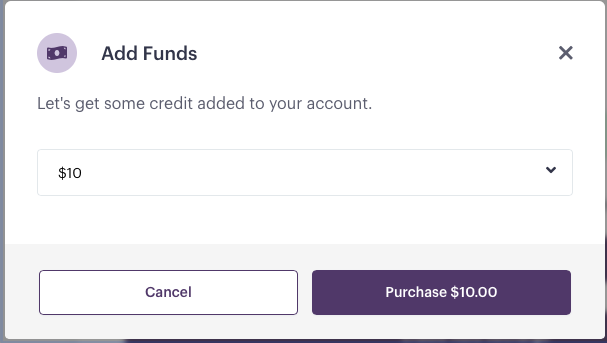 Click on Add Funds button, in the appeared modal select the amount you want to add to your account from drop down menu and click on Purchase button. In the You're all set! confirmation modal click on Done button. Please note that you will be able to add funds only in the case if the Auto Recharge is disabled.